How many different things do you do online to market your business? You probably have a social network profile or two, and you use to post daily updates. You might also have a blog on your website, and you post an article to it once a week. You can also have a weekly newsletter, a weekly YouTube clip, podcast, and a couple of groups on Facebook and LinkedIn where you try to be active. It’s incredible how many things we do to market our businesses today. And if it seems to you that you’re falling behind on your schedule and are forced to skip a blog post or two, or not send out this week’s newsletter, you should take immediate action. All of your marketing efforts depending on consistency to work, and if you start losing it, you need to adjust. When you commit to doing something on a regular basis, whether it’s to upload a video, write a blog post, or send out a newsletter, you’re not only making that commitment to yourself. You’re also making a commitment to your audience. They will expect you to honor it. You don’t want to disappoint the people who expect to see your content regularly. One of the unspoken benefits of being consistent with your marketing is that it helps build trust. When clients and customers stop trusting your business, they will also stop being your customers. Just take a look at how YouTube channels are handling possible inconsistencies. If they know they won’t be able to produce the next piece of content on time – and there are some good reasons to be inconsistent, too – they will let their followers know. Even talk show hosts notify their viewers when they’re about to go off the air for the holidays. It’s easy to see why consistency is important, but how do we know that we’re in danger of slipping up? What are the things that will cause us to lose our rhythm? 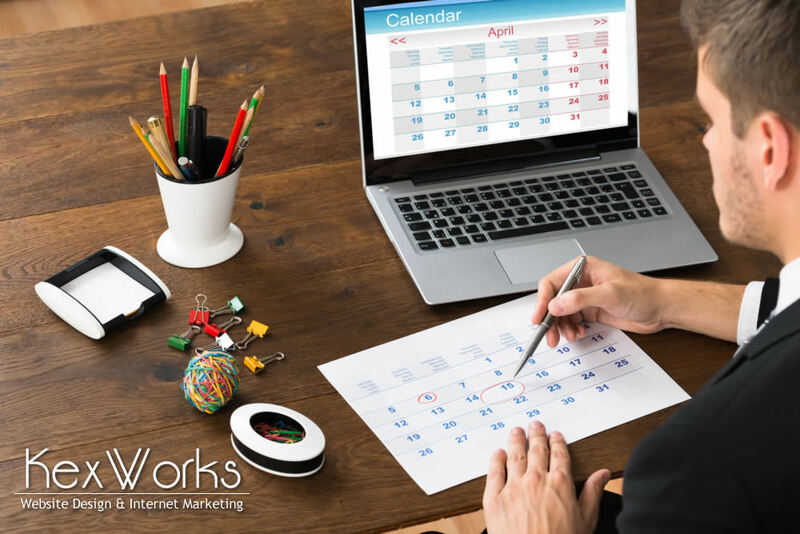 Inconsistency is an issue that usually pops up among those of us who have a DIY approach to online marketing. If you’re paying someone else to handle all your marketing and they aren’t delivering on your agreement, that’s a whole different story. One that usually ends up with you looking for another company to handle your marketing. Someone who handles their own online marketing has, on the other hand, plenty of chances to slip up. They might not know what to write in their newsletters, or they may not have an idea for a blog post or video. They can also be too busy actually running the business. Some of us simply lack the skills to write good content. Of course, they can try themselves in other types of media, such as audio and video. The two things that are most helpful when you want to improve the consistency of your content publishing are gathering and scheduling. You’ll want to gather all your ideas for content, no matter how lame they might seem to you. You can select the best ones at a later time, but when anything that resembles an idea pops into your mind, note it down. You’ll get back to these ideas at a later date, and you’ll be able to determine which ones are most practical to develop. Creating an editorial calendar can make your life much easier. It will contain all the ideas for content you’ve deemed worthy of development. It will also contain a schedule for posting the content, as well as other marketing efforts, such as promotions. Content marketing and promotions can synergize very well. You’ll also need to schedule the time you need to develop the content. You need to set aside the time you need to gather your resources and produce something worthy of reading, listening, or viewing. If you can’t do this, then none of the steps above will help, and you have only one thing left to do. You can hire companies that will handle your complete online marketing for you. You can hire individuals who can write or record content while you do all the rest. You can get any type of help you need that fits any need you have. Yes, you’ll have to pay for it, but if you can afford it, and it ensures that you’ll be able to deliver great content consistently, it’ll be worth the money.